You can always expect a snow storm in April. It's just a question of when! Thankfully, the beauty does not hang around for too long. It is spring you know! What a perfect day for a latte and some quilting! I'm working on a project that I hope to share with you soon. On the project completion front, I finished Tic-Tac Baskets, a pattern by Jan Patek Quilts. The quilt is machine pieced and appliqued! As much as I enjoy needleturn appliqué, I also find the preparation for machine appliqué quite relaxing. I use that prep time to listen to audiobooks. Not something I can easily do when I'm using my sewing machine. Penelope and I had some bonding time. I played with rulers and free-form on the Tic-Tac Basket quilt. Gosh, I'm loving ruler work! ;o) My, in the ditch work, has improved quite nicely! What's on Penelope at the moment you might ask? Well, my Coney Island quilt! Yes, I feel comfortable enough to tackle that one! I can not wait to share the finish quilt with you! Have a great week! Thank you so much for stopping by! Cheers! And....we can't wait to see it finished! I love your basket quilt! 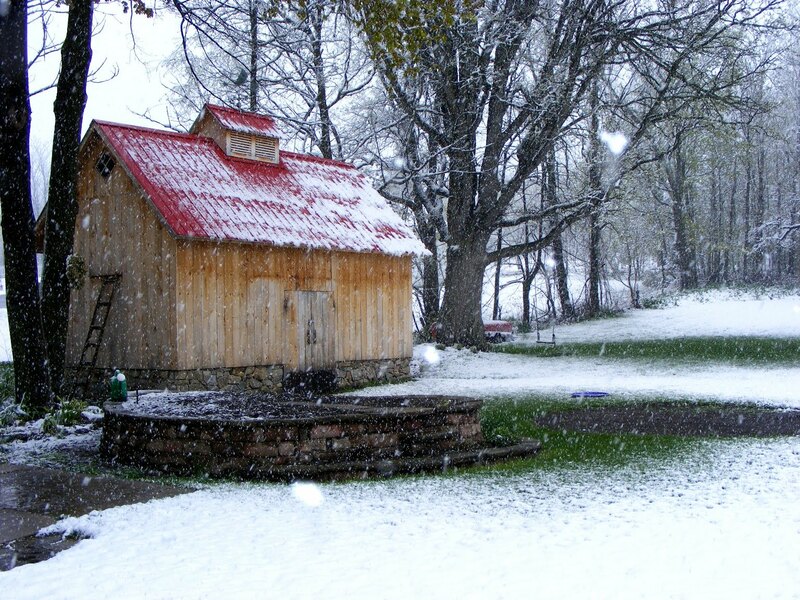 Fortunately we do NOT get snow in April here! Love your basket quilt! OMG it's almost May...snow...brrrrrr! Glad you got some good sewing time! 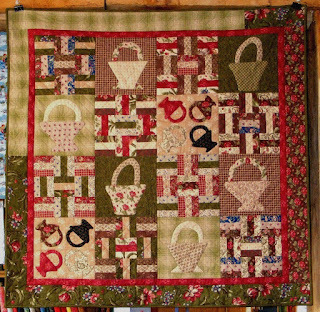 Such a beautiful quilt...those fabrics are lovely! Great picture of the snow...looks very picturesque..though I would think by now you are ready for some sun and warm weather. The basket quilt is very nice. Isn't the Blessing line a great one? Your snow picture would make a lovely greeting card. I can not even imagine snow in April - give me the South anytime! Snow! The quilt looks wonderful. 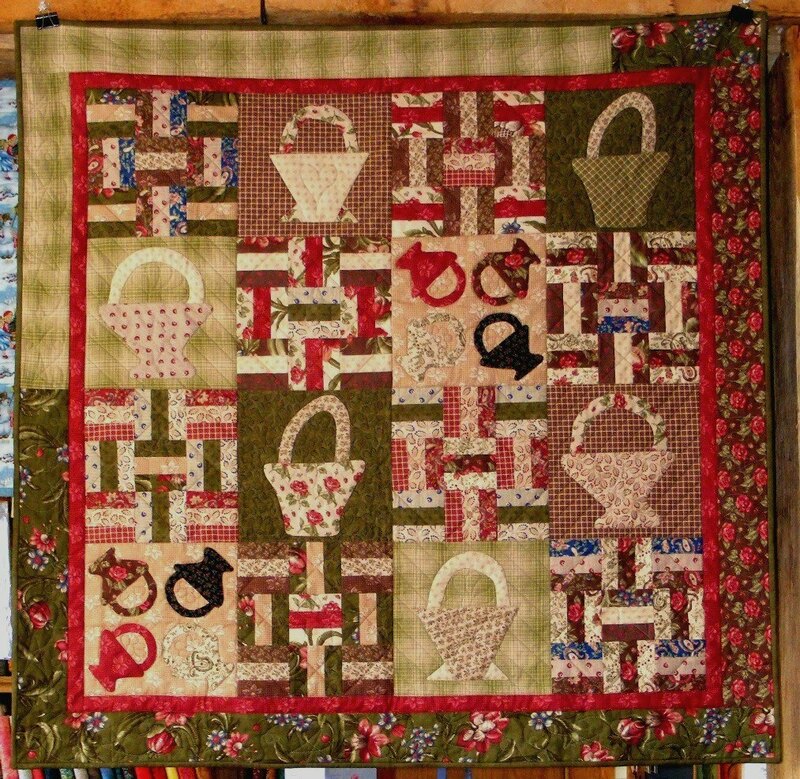 Your basket quilt looks wonderful, Carole! We just had snow in the sierras north of us this last week! The quilt is awesome. Where is Penelope now, at the Shoppe? Your basket quilt is so pretty! Love those fabrics. Snow? sigh...90 degree already here! Loving this basket quilt. 'Course I'm a sucker for a basket quilt anyway. But this one is great. Ooohhh another basket qult. LOVE IT!! I love your basket quilt! Spin, spin and more spinning ...!